Ah to have little girls. I have to admit, I love it. Little Lady is 3 and is such princess-loving girly girl. Baby Girl is only 3 months but that means I can dress her any way I please…until she figures out how to protest or do it for herself. Over the years I’ve purchased adorable hair bows for my girls from various local crafters and Etsy shops. These are very talented ladies and I know I cannot create the elaborate pieces they do, but I thought I’d try my hand at simple layered flower. I picked up a couple of pieces of felt at the craft store along with some elastic and a sparkly headband. The other supplies I had on hand. 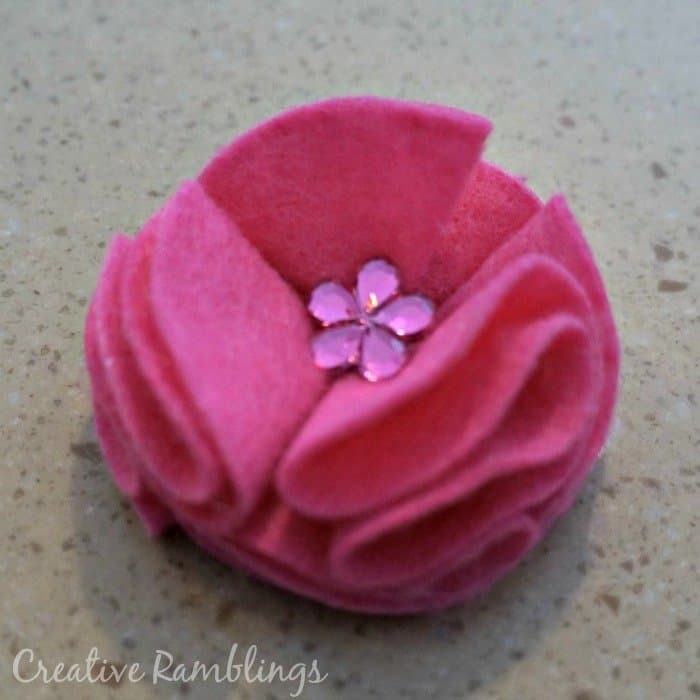 I followed this tutorial from Ruffles And Stuff to create the flowers. First I cut 7 circles of felt about the size that I wanted the final flower to be. 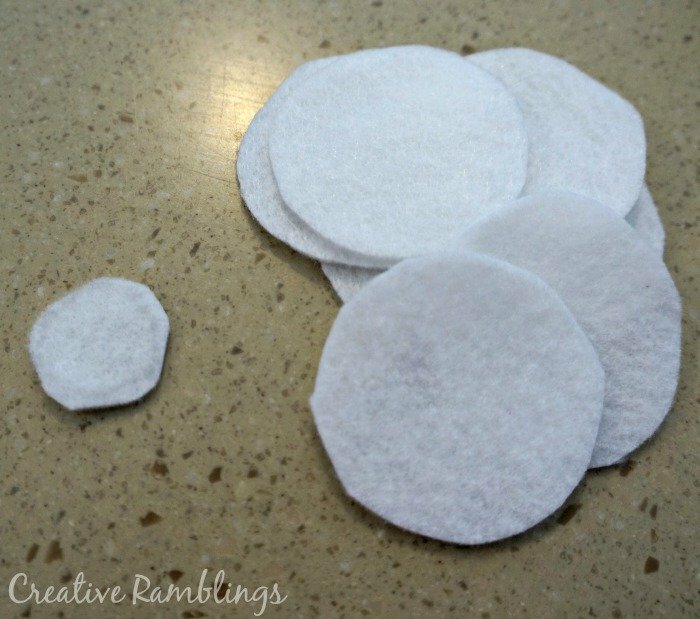 Then I cut one smaller circle to use as my base. I made two flowers. 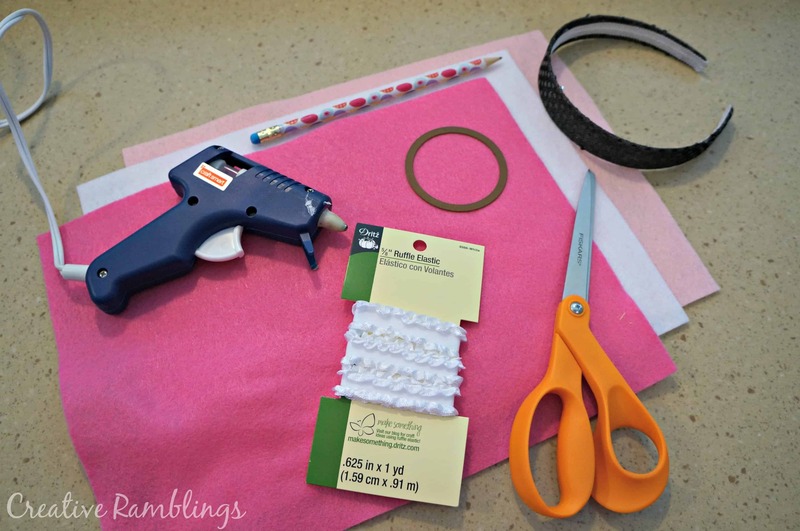 The first I cut with scissors, the second I cut using a circle die in my Big Shot (affiliate link). The die cut circles make for a much cleaner looking flower. 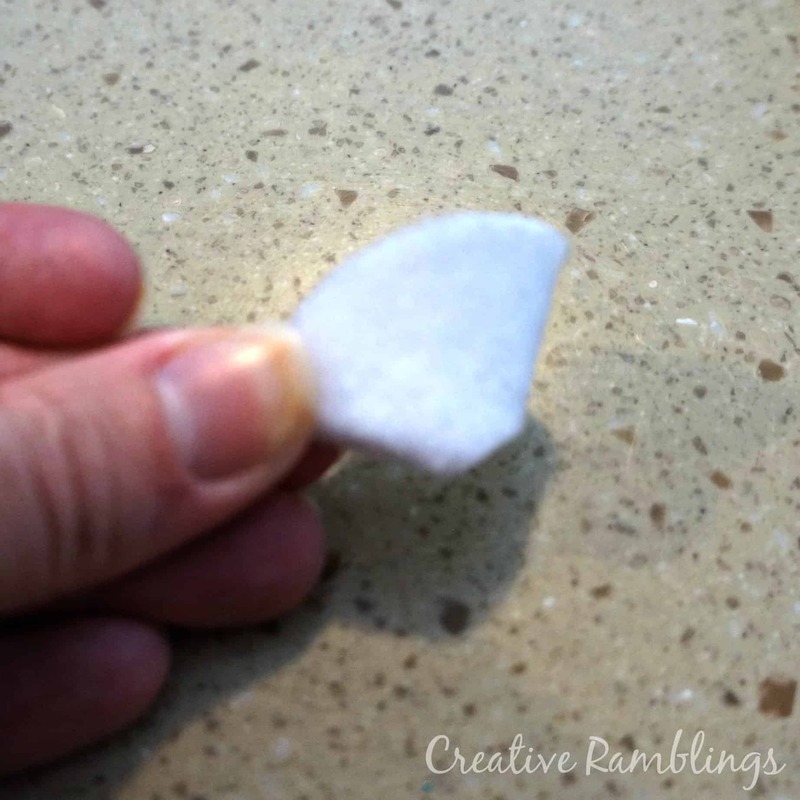 I then took a circle, folded it in quarters and cut off the pointed tip. Using a hot glue gun I stuck the folded circles to the base, 4 fit snugly together for the first layer. I then added the three remaining folded circles on top. I played around with the placement and direction of the folds. I like it best when they are all facing the same direction. That’s the basic flower. I added a jewel to the middle to jazz it up a bit. I hot glued each flower to the headbands. For the elastic baby headband I measured it around her head first making sure it wasn’t too tight, then hot glued the ends together. Do you have girls? Have you tried your hand at making hair accessories or do you buy them? 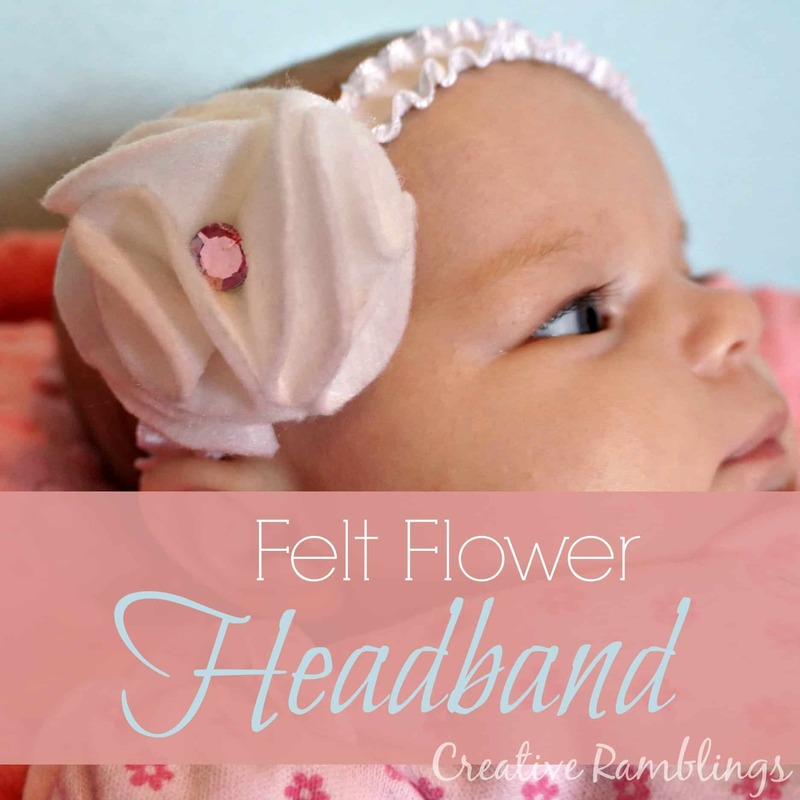 The flower headbands are super cute and so easy to make! I only hope I have girls in the future! ~So pretty and girly and creative! 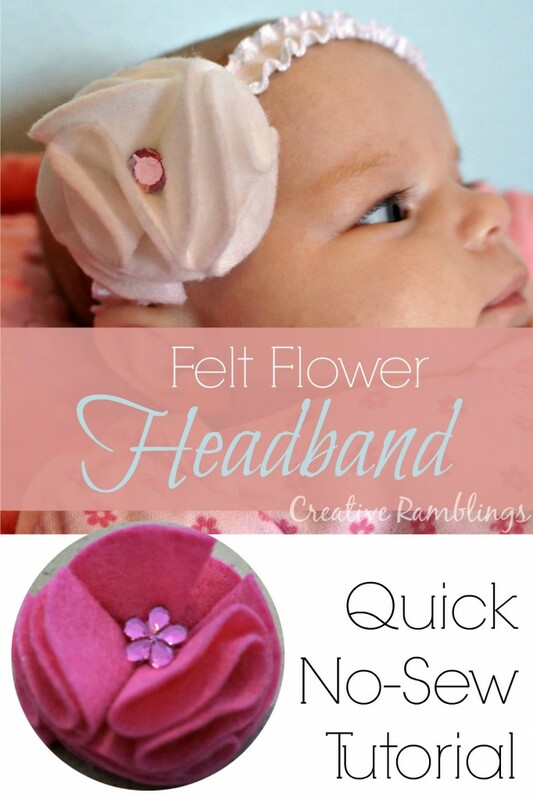 I love that it’s no-sew so anyone can make it!! Yes it is definitely a lot of fun dressing little girls! Thank you Tracey, anything no-sew is right up my alley. So completely adorable! This would also make a great baby shower gift! Oh they would, that’s a great idea. Thanks Jayleen. these are adorable! I know a little girl in my house who is going to want one! Have a great weekend! Thank you, you can totally make one for her! After two boys, I finally had a girl and need to make something like this for her! It’s too cute! Congratulations! Have fun, these are so addicting. Super Cute! Found your post from Blog it Forward. Thanks for stopping by Kristen. Very cute! I want to make some hair bows for my new darling girl!